$29.95 In stock. Order in the next 7 hours, 24 minutes and it will go out today! In stock. Order in the next 7 hours, 24 minutes and it will go out today! 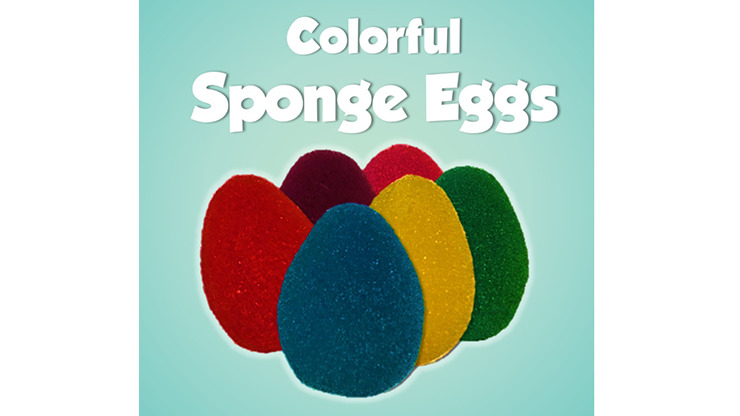 Make that next egg routine more visual and colorful with these vibrant sponge eggs! Whether you use them for Easter magic, fairy tales, or anything else your imagination can conjure up, these colorful sponge eggs are ready to add visual appeal to your next routine. Make them appear, disappear, multiply, change color, and more! Think outside the carton... er, box and get your dozen today! Sold in assorted dozens (including 2 of each color: red, blue, green, yellow, purple, pink).